If you take a look at Gartner’s most recent hype cycle for emerging technologies, blockchain sits astride the peak of the cycle, while virtual reality (VR) is off in the distance on the ‘slope of enlightenment’. Yet these two seemingly disparate technologies, both with different temporal outlooks, have a lot in common when it comes to potentially solving business pain points. Take the music industry. Benji Rogers is the co-founder of startup Dot Blockchain Music. He argues that “no new technology encapsulates the potential for positive change for this suffering music industry more than the blockchain.” This certainly makes sense; as songs have different performers, writers and producers – sometimes with usage rights crossing over into multiple territories – then untangling the web with one single database sounds ideal. Rogers describes VR as the “Trojan Horse” to seed the new format. Taking the theory further, a VR player would not be able to play content which did not have a unique blockchain address or permissions built in, while the codec will have a set number of plays, and if it hits that number, users would need to buy or rent more. Given the amount of industry players who would need to be singing from the same hymn sheet, Rogers accepts the project would be “pretty hard” to pull off, although at the time of writing the project is live on GitHub. 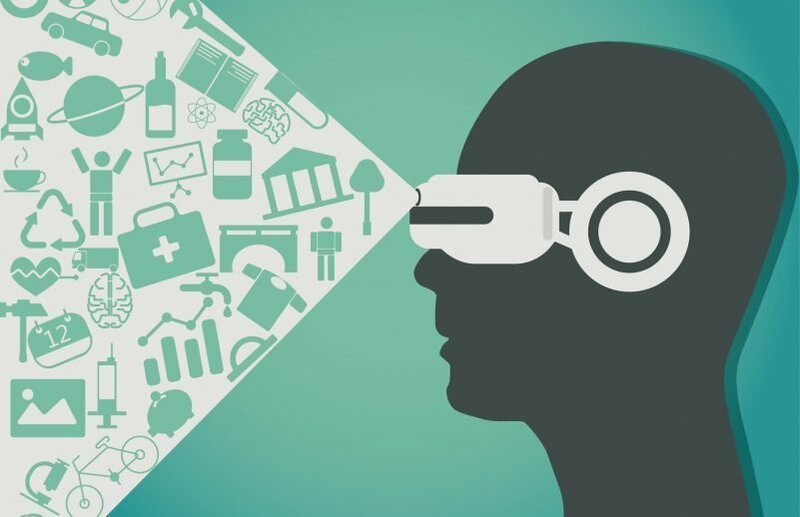 When it comes to more general society, Simon de la Rouviere, author of The Blockchain: Mapping the Decentralised Future, notes that ‘the great thing about all blockchain tech is…it just immediately works in VR as well.’ “The more I think about it, the more I’m sure that once VR hits the mainstream, the blockchain will almost suddenly thrive much more in VR than in real life,” he writes. How so? If VR goes mainstream, so the theory goes, virtual experiences will move from localised environments to centralised worlds. Yet what would stop a developer, for instance, changes a virtual world for their own personal gain? One of blockchain’s key tenets is trust and decentralisation, which fits this concept like a glove. The example given is of space travel. A Mars colony can be simulated through VR, and through blockchain smart contracts are the only form of governance. Real people can ‘live’ there full-time, and important information will be gleaned. This also fits in to what de la Rouviere discusses when it comes to a ‘more equal virtual world’. Naturally, these projects are all some distance off. But it does give a glimpse into what could happen if blockchain and virtual reality were combined. MasterCard launches blockchain APIs for developers Jonathan Reichental, Palo Alto CIO: On changing CIO roles and building smarter cities Blockchain Conference: Blockchain Expo announces first Conference Speakers Are Telecoms applications of blockchain technology ripe for innovation?